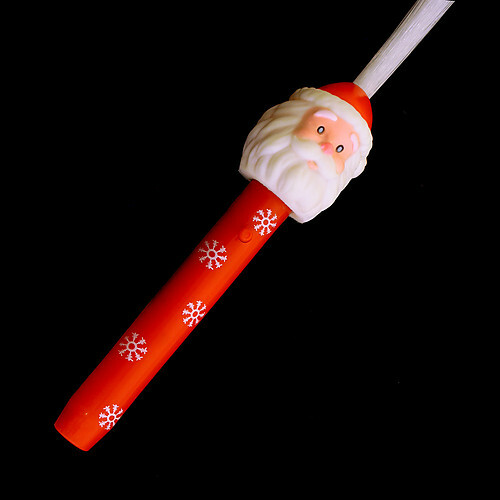 It just isn't a Christmas celebration without Santa and what better way to celebrate than to wave this magical sparkling Santa wand in the air! 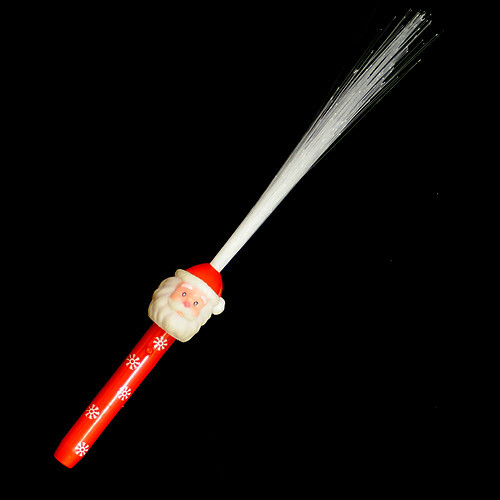 These extra long Flashing Santa Fibre Optic Wands can be used as a fun alternative to traditional candles at Carols by Candlelight or Christmas events. A wonderful soft glow, with gentle colours flowing from the fibres at the top, middle and bottom. Just beautiful!! 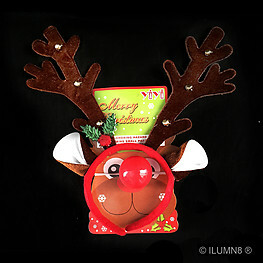 With 6 different flashing light modes this light up toy is like having a Christmas light show in the palm of your hands. Kids are sure to be mesmerised this wand. I know I am !! Each LED wand comes individually packaged in it's own protective poly bag, ready for quick sales or dispersion straight out of the box. Perfect for any fundraising event you find yourself hosting this Christmas. 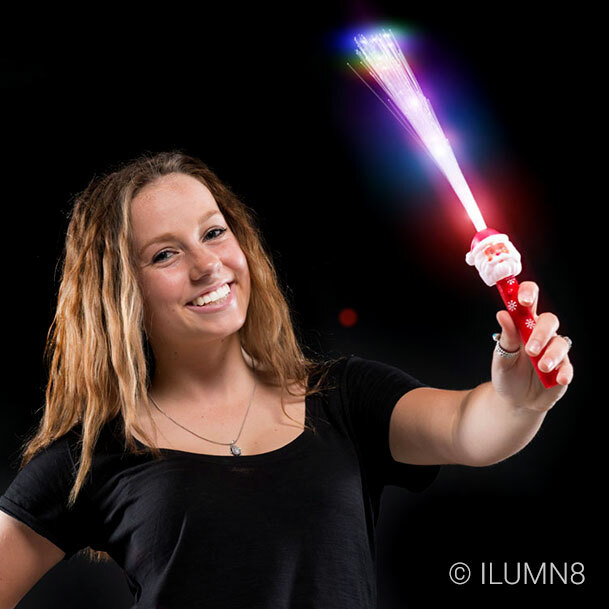 Or, if you are vending LED wands this Christmas, this is a light up toy you definitely want to add to your cart. Always popular, always fast to sell out. 3 x AG13 batteries included in each wand. Wands are fully sealed to prevent easy access to internal small parts and batteries.